SEM Solve removes adhesives, wax, road tar, grease and paint overspray. 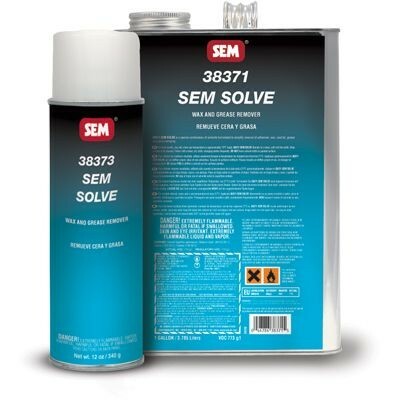 SEM SOLVE is a special combination of solvents formulated to simplify cleanup of adhesives, waxes, road tar, grease, oil and paint overspray. Features: Removes contaminants fast, leaves a clean surface and does not leave sticky residue.